In news that is making the recent Pacific Northwest wildfires look downright ordinary, scientists have spotted a large wildfire raging across western Greenland, a place better known for its enormous glaciers. 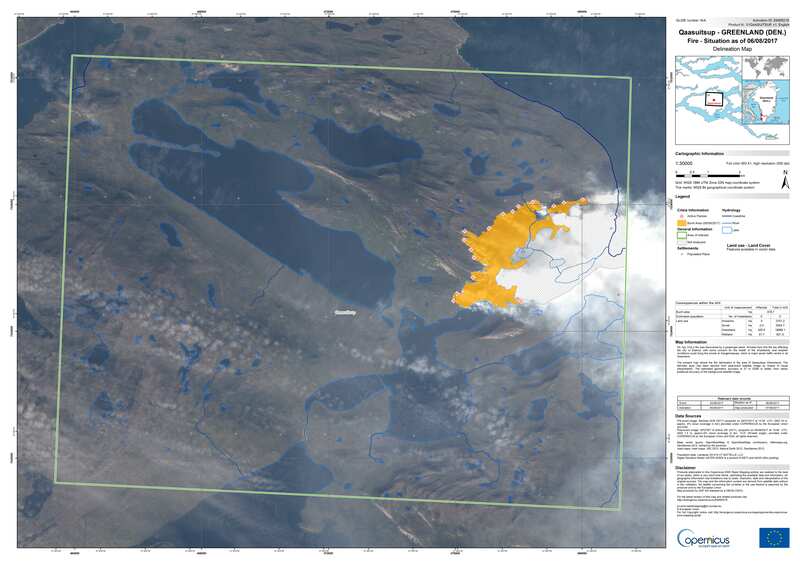 Satellite evidence of a “sizable fire” about 90 miles (150 km) northeast of the town of Sisimiut was first detected on July 31st, according to NASA’s Earth Observatory; on the same day, the fire was reportedly spotted by a passenger plane. 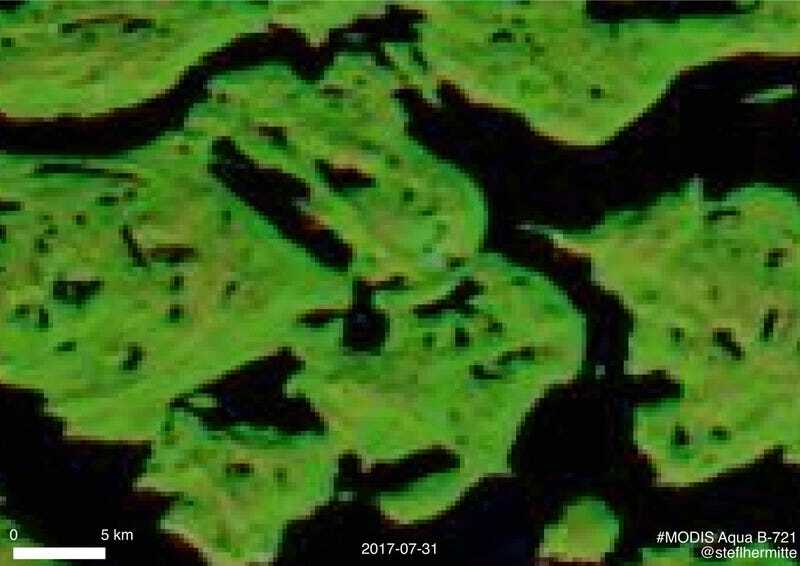 Over the next week, NASA-led satellites captured daily images of smoke pouring off the tundra from what appear to be multiple conflagrations. Based on the latest data available on the European Union-based Copernicus Emergency Management Service, the largest of the wildfires seems to have torched several thousand acres. 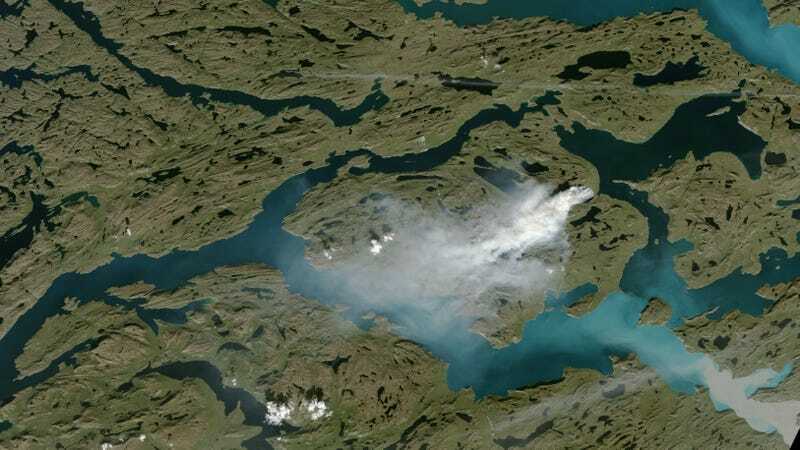 “There is no evidence that fires have been common in Greenland so a large fire like this is unusual,” fire ecologist Merritt Turetsky of the University of Guelph told Gizmodo in an email. Speaking to Wildfire Today, Miami University scientist Jessica McCarty noted that the fires appear to be “occurring on areas of degraded permafrost.” Permafrost—ground that, as its name implies, is permanently frozen—contains vast amounts of dead plant matter that can become highly combustible if it thaws and dries out. In recent years, ecologists have noted an uptick in permafrost fires in Alaska, Canada, and Siberia, which have been attributed to land use shifts, human-caused climate change, and upsettingly, humans setting more fires. This is a disturbing trend, seeing as peatland fires can smolder underground for weeks, releasing boatloads of sequestered carbon into the atmosphere. As for whether these fires are a sign of what’s to come in our hotter future, as Greenland’s ice sheets and permafrost continue to melt, it’s a bit early to say given how little data we have, but it’s a troubling possibility. Globally, wildfire seasons have become longer and more intense in recent years, and although the causes are complex, fire ecologists say climate change is playing a role. A news report from the Greenland Broadcasting Association on August 4th noted that hiking and hunting closures were in effect for areas around Nassuttooq and Amitsorsuaq. Authorities continue to monitor the situation closely, but fire suppression measures had not been taken as of yesterday.